WELCOME to Maitland Village - a GATED luxury townhome located less than 1 mile from I-4!!! 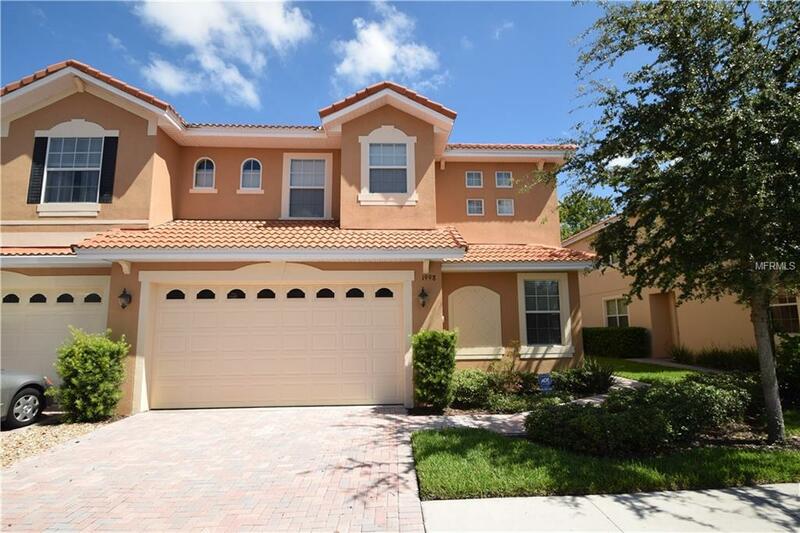 GORGEOUS Mediterranean style 2-story 4 bedroom/2.5 bath end unit townhome - BEST floor plan in the community! Kitchen has STAINLESS Steel appliances, GRANITE counter tops, 42" cabinetry, breakfast bar, and 5X5 closet PANTRY. Additional eat-in space right off the kitchen. OPEN plan family room off kitchen with covered outdoor lanai for additional living space! 8X5 interior laundry room, laundry tub located in the 2 car garage. HALF Bath ideally located for guests. 4th bedroom is downstairs with BRIGHT corner windows. UPSTAIRS Loft area works as play area or flex/office space. MASTER is SPACIOUS with an oversized walk-in closet (11X10), deluxe bath area with garden tub and shower, dual sinks with GRANITE counters. Secondary guest bedrooms are family size with hall bath between them. SO MANY EXTRAS - BARREL Tile roof, pre-wired for security, SURROUND Sound speaker system in ceiling, ceiling fans in every room too!MODERN living - MAINTENANCE FREE - your HOA fees takes care of the exterior, basic cable, water & sewer, lawn maintenance, trash, sprinklers, plus community amenities - pool & clubhouse! Centrally located AND EASY access to 414, 434, 429, Seminole State College - Altamonte, RDV, grocery, restaurants in Maitland AND Winter Park, Farmers Market on Sunday's @ Lake Lily, and more!! TUCKED Away but close and CONVENIENT!